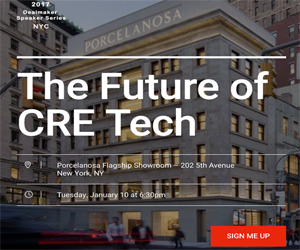 There has been an explosion in technology for commercial real estate over the last few years and millions of dollars are being invested in dozens of new startups. At its inception, Buildout worked directly with brokerages to understand their operations and looked for practical ways to improve their processes. Without document and marketing automation, brokers and marketers can spend hours creating collateral, updating brokerage and property websites and sending out emails announcing new listings. And because each property's information has to be manually copied from and input into design or presentation programs, many brokerages are prone to errors and inconsistencies across materials. Buildout streamlines the entire property listing process. You input your properties' information in one location and it automatically pushes to all your marketing materials, proposals, OMs, brochures, websites and emails. Each piece is automatically populated in minutes––not hours––so brokers can focus on building relationships and marketers can focus on marketing. Because proprietary data is at the heart of commercial real estate, it has taken time for the industry to move toward integration. But this is changing. More of the industry is now making a shift to more collaboration and integration, making it possible to share sensitive data across software solutions to build powerful ecosystems of best-in-breed solutions. Will the role of the broker will be affected as data becomes more readily available? According to Buildout and theBrokerList's annual DNA of #CRE survey, the most important factor for winning business is still relationships. Buildout CEO Vishu Ramanathan says the best brokers will continue to stay on top because of their ability to understand and advise their clients. A company's brand is a direct representation of how they will service their clients. Every representation of your brand reinforces this impression, for better or for worse. Most brokerages still create their marketing materials manually, which is costly and potentially damaging to their brands. Buildout has committed to leading a shift away from this tradition and, as a result, is changing CRE for the better.